I love how the family was so huge and everyone had so much fun even if they fought, argued, or had differing opinions. 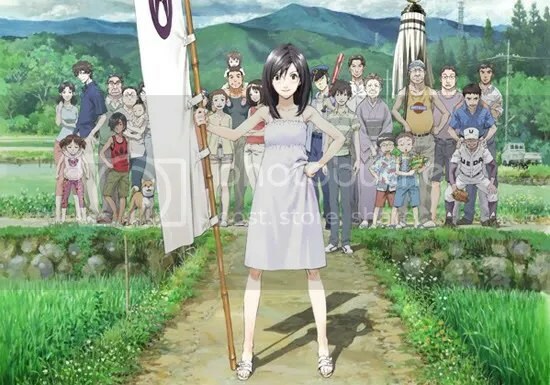 The family created a relaxing and enjoyable atmosphere which made me love Summer Wars right away. The OZ world thing was very interesting. It was a game and yet it wasn’t. People from all over the world are connected and Oz was like a method of communicating all over the world, I think. Yeah, I didn’t really get the OZ thing but oh well. I like the look of the OZ world. Kenji’s smart-ness. He’s a math genius. That one scene where he’s locked out when he’s so close to the repair code, he’s trying to unlock the code in his head, it shows what kind of a genius he was. I was astonished. I also love how cool Natsuki’s family is. They all have different jobs and specialize in different areas bringing uniqueness to the family. It like how the baseball game mirrored the situation and what the character faced. If the pitcher was getting tired and giving up runs, the family was experiencing something similar. The show focuses on family importance and how even with all that’s said and done, in the end, you’ll still be family. These ties can never be severed no matter how much you try. It also tries to show how important it is to express through words or actions your true feelings or you’ll end up regretting it. It’s shown with Wabisuke’s example since he cares a lot for their Grandma but he just can’t seem to speak kindly to her without putting on a false front. I kept hoping for Kenji to be the one to save the day and it happens at the end. I thought his turn would come sooner but it came later. This entry was posted in Anime, Finished, Summer Wars and tagged anime, summer wars. Bookmark the permalink. Oh haha sorry yea , I accidentally logged into another account -_____- stupid me. >w< I watched it!! It was so cool!! The family is so big though O__o I only have like a few relatives. I love Obaa-san foiling the hacker! She's so awesome!! I like how both Natsuki and Kenji start becoming stronger characters, they grew up more. Yepp. The grandma was so awesome. ahah. They didn’t give up when everyone else felt that it was impossible and that they lost. The two encouraged each other to continue. Also, didn’t you think the kids were funny? LOL, remember that one scene where their uncle was like,, don’t touch the cords.. they stopped and when he turned around they started touching it again and stopped when he looked at them? I find it awesome how the uncle drives through and destroys an arch then drops it in the koi pond. And it was a really heart when Natsuki loses the 49th round and doesn’t have enough accounts to continue the game then a boy from Germany shows up to offer his account, and then like 150 million more ppl offer theirs too!! Ooh, it’s okay, I’m not either. Yeah, makes you envious, doesnt it? Lol, of course.. you always do what people don’t want you to do. It annoys them which makes it fun. Lmao, I cracked up when I saw them not caring and just destroying things and making so much noise. Yeah, I thought it was over and it was time for Kenji to do something when Natsuki lost. I went ‘Awww’ when everyone all over the world was trying to help out. Lol, you like it for the presents, dont you? aww, x3 Why thank you but.. all I did was list what I like.. Lol. I like animes where they make you want to do something to help out even though you cant..
Haha you have to admit getting presents are nice. XD It’s true though! 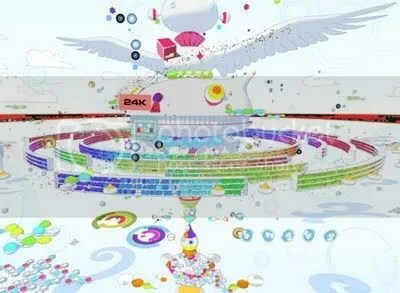 Lol right now all I’m thinking about is summer wars, I should watch it again… or at least my fav. parts. I watched Summer Wars a few months ago, actually. I agree that the animation was spectacular, and I really liked the way they handled the world of Oz. I wouldn’t say that it was one of my favorite anime movies, but I definitely enjoyed it a lot. I’ll probably end up watching it again. The only other movies I’ve seen so far are Naruto /Naruto Shippuuden ones so… lol, I haven’t seen that many movies but I’m planning to do so. Definitely check out the Miyazaki movies… Princess Mononoke, Howl’s Moving Castle, Spirited Away, etc. Princess Mononoke is probably my favorite of those. Also, Rurouni Kenshin: Trust and Betrayal is an awesome movie. It’s a prequel to the series, so definitely watch it if you like Kenshin. Does Kenshin the anime follow the manga closely? I’ll check out the Kenshin movie then. Alright, thanks for the movie recommendations, I’ll watch those.. I’m actually looking forward to Spirited Away. The Kenshin anime is still on my “to watch” list, so I’m not sure how closely it follows the manga, honestly. This really was a great movie, it’s been a while since I watched it but I can still remember how much I liked the messages it told on the bonds that a family shared and as a family oriented movie it was pretty good at that. I also liked how everyone seemed to play a role in it and the characters were all kind of likable, with Kenji filling the role as the protagonist nicely, Kazuma being awesome, and Natsuki being adorable. But then again just about all of the movies Mamoru Hosoda directs are amazing, and the animation style that his movies are usually in is pretty nice as well. And in this one you could really see his previous work in the Digimon movie: Our War Game come through a bit. With Oz and Love Machine both kind of reflecting it. The way the family centered around their great-grandma and when they lost her, their bonds weakened a bit but soon, the bonds grew stronger when they come together to save the world and their home. It was really nicely done to show how fragile and yet strong familial bonds are. Ooh, then maybe I’ll give the Digimon movie a try assuming that the animation and storyline will be on the same level as Summer Wars. Our War Game was pretty good from what I can remember about it, and if you watched the series when you were younger you might enjoy it a bit more. Regardless though, seeing things like the use of dialup and Daiboromon’s trolling make it pretty fun and it’s similar to Summer Wars in quite a few ways. 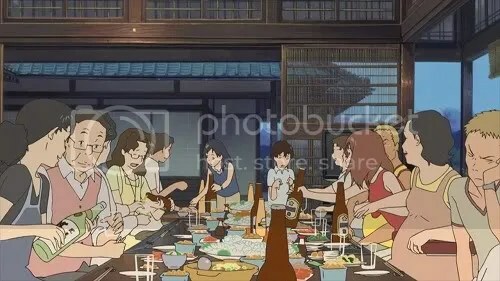 But if you liked Summer Wars be sure to check out Hosoda’s earlier film, The Girl Who Leapt Through Time, since I remember quite a few people being disappointed with Summer Wars since it wasn’t as good. I loved this movie so much. It was probably the importance on family that was placed so highly in the story, instead of standard cliches or a subpar romance. The high-tech world OZ was cool and all, but it was the family scenes that really spoke to me. All the little details were really neat, too, like the baseball game. Just an awesome movie overall! The message of family importance really created a nice and fun atmosphere. Yeah, the way the baseball game shadowing the situation that the family was going through showing that even apart they experience everything together, sharing pain, sufferings, and happiness despite distance keeping them apart.